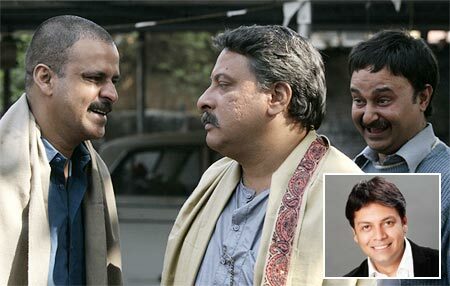 Getting Wasseypur and its multiple characters right in the film Gangs of Wasseypur was all in a day's work for writer Syed Zeishan Quadri. In 2009, I came to Mumbai with the idea of becoming an actor. I was trying my luck, appearing for auditions, and at the same time, getting inspired by world cinema and trying to write something on my own. That's how the idea of Gangs of Wasseypur was born. Although I hadn't written a page of it, I had it all worked out in my mind. Watching world cinema was an exercise in how to approach the story; it gave me confidence in how to handle my subject matter. I wanted any of one these four directors --Hansal Mehta, Anurag Kashyap, Vishal Bhardwaj or Sudhir Mishra -- to pick up my story. A friend passed on Hansal Mehta's number and I called him one day. He asked me to come over. I gave him a narration, which mentioned in great detail the incidents relating to coal mafia and the abuse of power that was prevalent in my hometown of Wasseypur in Dhanbad, the coal capital of India. He was blown away by the idea but pointed out that Kaala Patthar was made on a similar subject and asked me if I can wait for a year or so. I was very restless and didn't want to wait. Two months after this meeting, I heard that Anurag Kashyap was going to be at Prithvi Theatre, Juhu. I thought it the best time to nab him. For half an hour, I chased him around. Finally, I told him about my story. He asked me to write it, and then meet him again. I sat up overnight and wrote out an eight-page concept. The next day, I met him again. Anurag took two puffs from his cigarette and started reading the story. He must have found it so engrossing that he forgot that he had a cigarette in his hand. Then, he asked me, 'How much of it is real and how much, fiction?' I said the incidents are taken from real life but it is cast in a fictional dye. After he agreed to make the film, I placed a condition which he must have expected. I expressed an interest in playing the role of this guy called Definit, who, like me, is a Salman Khan fan. 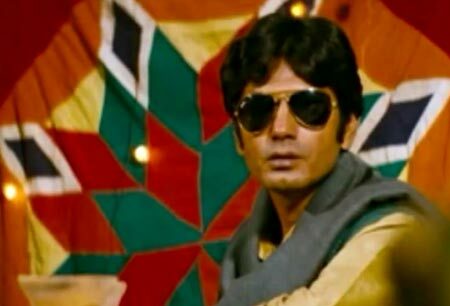 Definit is one of the leading characters from Gangs of Wasseypur. Anurag asked me to appear for an audition and to my delight, I was selected. Now that everything was in place, I went to Dhanbad to work on the story. In 35 days, I produced a script of 140 pages, which read like a novel. Anurag didn't want to leave out any detail and that's why it was decided that Gangs of Wasseypur would be made in two parts, a story that would span several decades and generations, from 1941 to 2009. Anurag's contribution to the script is immeasurable. He started writing the screenplay on the basis of my memory of Dhanbad and photographs. Anurag works instinctively. When we went to Dhanbad, he knew where to take his shots. If he writes a chase sequence, he will decide where to set it only after seeing the location. Much of the fodder, as I said, came from real life. For instance, last year a politician named Suresh Singh was shot dead in Dhanbad. He was known as the coal king and the man who killed him comes from a very powerful family of MLAs and mayors. At times, I feel life has no value there but then, sometimes I wonder if I would have become what I am today if I weren't born in such a place. 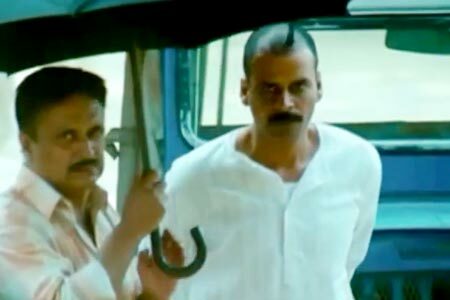 The character of Sardar Khan (played by Manoj Bajpayee) is a combination of many Sardar Khans who have existed in Wasseypur at some point or the other. Although we didn't shoot in Wasseypur (major shooting schedules took place in Dhanbad and Varanasi), Anurag came to my house and ate with us. He he loved the place. Life is very chilled-out, very slow in Wasseypur. It's a town with 2.5 lakh population, most of which is Muslim. It's such a town where schools shut because of a murder in the neighbourhood. There is a scene in the second part of the film where a young boy carries a blade in his mouth. Violence is commonplace but, in a strange way, it never hindered our childhood. I didn't even realise it until I travelled out of Wasseypur for the first time and saw big cities and towns. I didn't know a world like Mumbai or Delhi existed. Wasseypur is a conservative but ambitious society in that parents wish their kids to take up medicine, engineering or IAS. People are, by and large, helpful there. My childhood friends were of great help during the shooting; in fact, you can see their names in the credits. Honestly, I never wanted to write and if I did become a writer, it was to facilitate my acting career. But after seeing the kind of film Gangs of Wasseypur became, I have realised the power of writing. In the past, at the most, I have maintained a diary and have never written with any specific purpose. But all that has changed. I am now writing two more scripts -- one, based in Bihar and another, a fictionalised account of a criminal in Western Uttar Pradesh. I am drawn towards crime. But I am careful that in my new-found passion for writing, I don't lose out on the larger purpose -- to become an actor. And if possible, to meet Salman Khan someday. Will She Be The Next Big Actress in Bollywood?